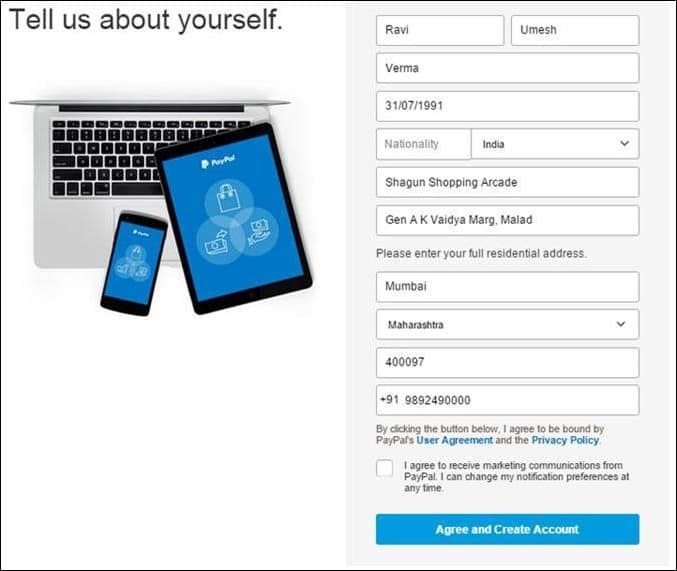 PayPal India - Create & Verify PayPal Account in India? 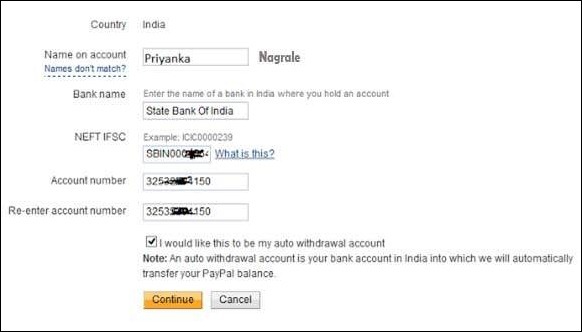 PayPal India – Create & Verify PayPal Account in India? 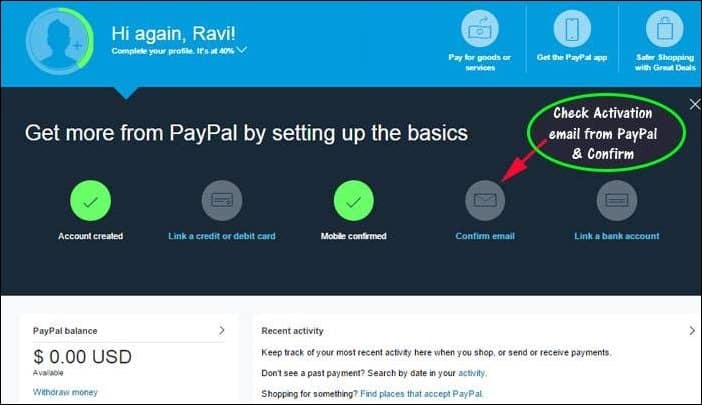 If you are looking to make money online or if you want to start an online business in India or even if you are working as a freelancer, one of the most important thing you need is a PayPal account. 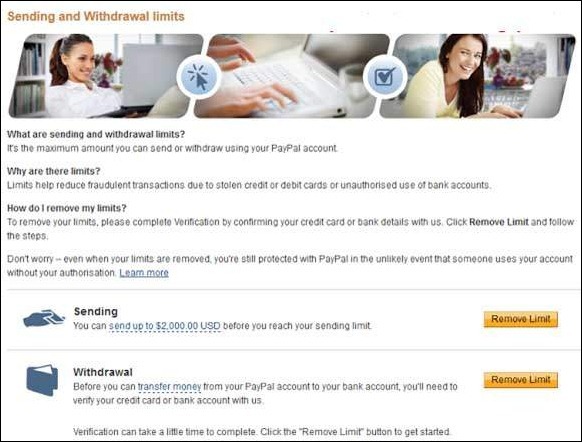 PayPal is like an online bank & if you have a PayPal account, you can send or receive money instantly all over the world. If you are earning money online, then most of the companies prefer to send your earnings in your PayPal or Payza account. PayPal is much preferred over Payza account. And if you have an online business & you want to sell your products online, then you can easily receive payment from your customers who want to pay by credit card or their PayPal account. Although there are other payment gateways as well but PayPal is most convenient & preferred way all over the world. 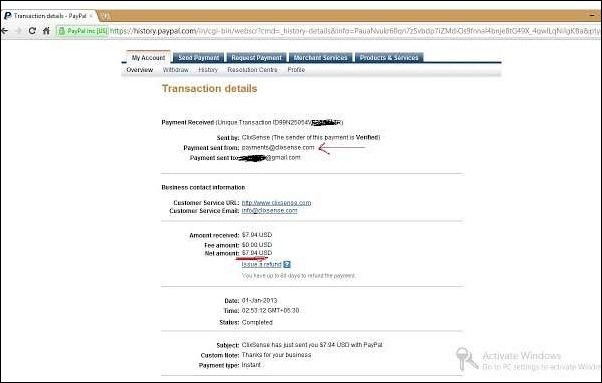 You need to add a bank account in PayPal to verify your account & if you receive payment from anyone then with in 1-2 days your money will be transferred by PayPal to your bank account. If you don't have a bank account, still you can open a PayPal account but your PayPal account will be treated as unverified PayPal account until you don't add bank details on it. Unverified bank account have certain limitation in sending and receiving money. There is no need of any type of debit or credit card to open PayPal account. You can add debit card or credit later after opening account, if you want to buy something online. But it's not necessary if you only want to receive money that you have earned online. PayPal is very secure so don't worry about your money. It provides security through SSL (Secure socket layer). Your details transferred over internet in encrypted form. It's impossible for hacker to hack your account. 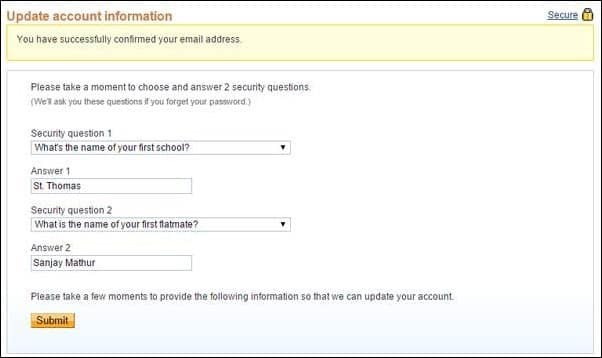 STEP 2: Select Individual account & click on Continue. STEP 3: Enter your name & email address & click on Continue. 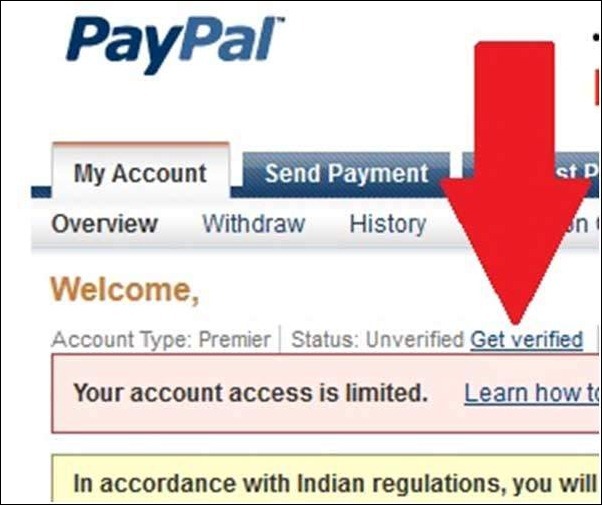 To get verified Paypal account you need to attach two thing mainly. Click on Add bank and you will see screen like this. Now you need to enter following details. Click on the check box to make your account auto withdrawal. It means when money will be received in your PayPal account it will be automatically transferred in your bank account within 2-3 days. You even don't need to make a request for sending money in your bank account by login to your PayPal account. These are two small amount (1.06 Rs and 1.06 Rs) of money that Papal send in my Bank Account to verify my PayPal Account. 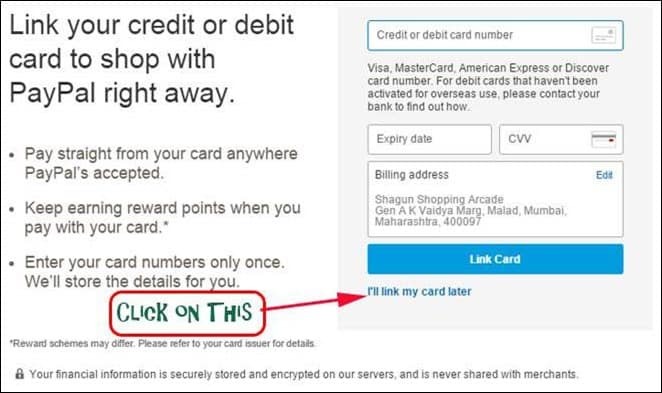 This is an optional.You can attach your debit card by clicking on link . You even don't need to login into PayPal account. 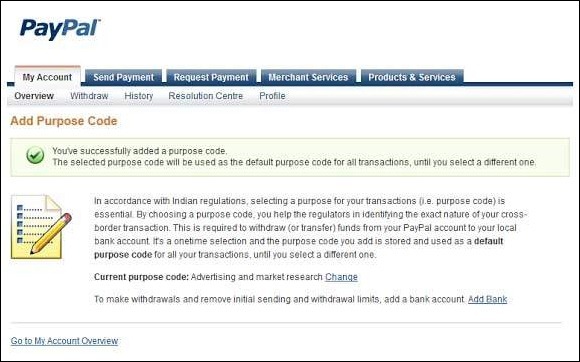 This is rule by RBI implemented over PayPal. Your money also be converted into rupee according to current market rate. So don't worry about currency conversion. Your money will be in rupee in your bank account. Example- I earned $7.8 from a site named Clixsense. 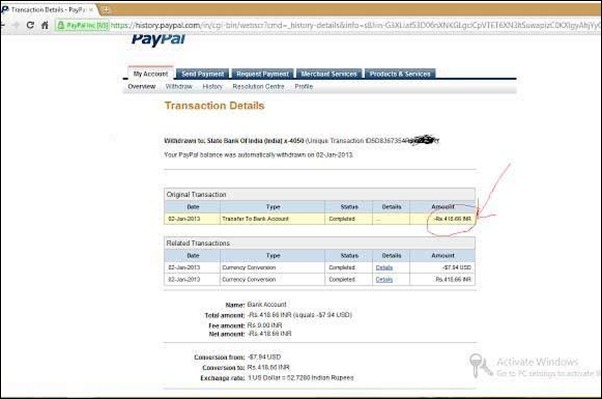 This site sent this money in my PayPal account on 1st Jan 2013. 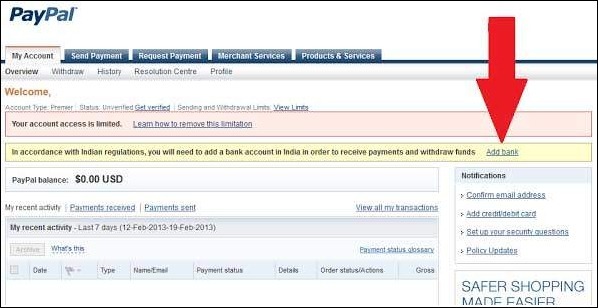 On 2nd Jan 2013 PayPal automatically send this money in my bank account and converted money in rupee. I have verified PayPal account. 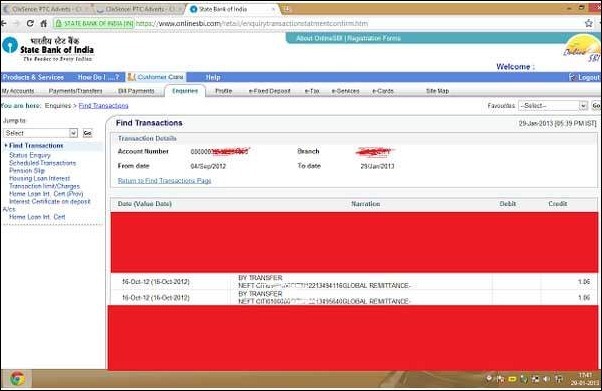 Do I need online banking facility to get verified Paypal Account ? 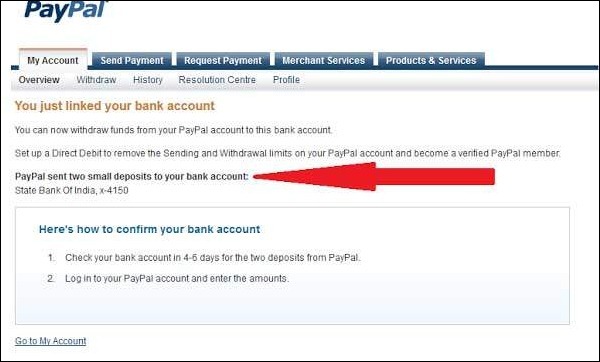 PayPal send two small amount of money in your bank account to verify your account. After sending these two small money, PayPal ask you to enter these two small amount in PayPal account. So if you have online banking facility you can check your amount easily. This is from Philippines, what should I do if I don’t have a PayPal account or any bank account. should I withdraw my money in that online job?is there any way to get my money? The information is very useful. All the steps for creation of account is very simply explained step by step. Thank you. I am Ephraim Z a Nigerian. 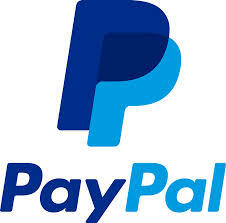 How can I open and verify PayPal account here in Nigeria? Is there any online site that can welcome people from my region? If there is/ are, please let me know, I would like to raise money for my school tuition fees. i am shahzad from malaysia.i am a refugee here i read ur article its nice but one thing i have to ask for my self i have no bank account here in malaysia .and so if i made pay pal account without bank link then how i receive money. if any other way. 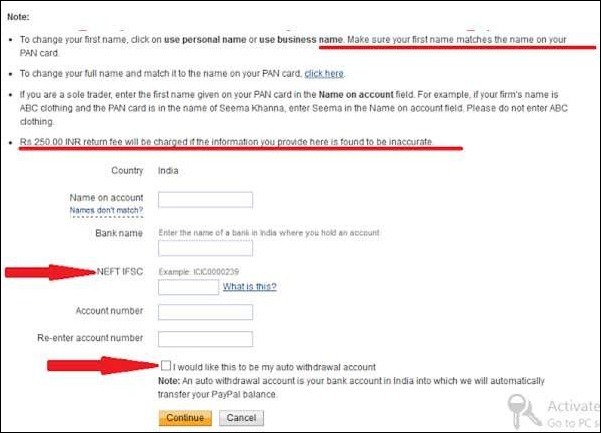 Hi Pritam Sir this is another Great Article about how to open a paypla account. 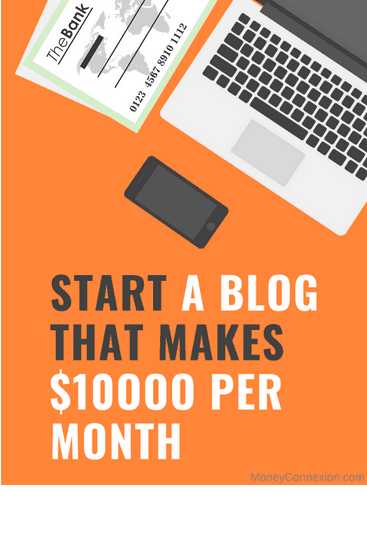 You Explain Step by step Now any one can Easily Create Paypal Account, i read your every blog post very care fully. Thank you so much for your good work and keep it up. hi i want to ask that m a pakistani n i don’t have a PAN card. can my CNIC be used instead of PAN card? its very nice info thanks a lot. want to know is there any maintenance charge and minimum amount limit to Paypal account ? Sir, I have a question regarding Connecting bank account to PayPal account. Can I connect any debit or credit card to Paypal? Whether the permission of bank is needed for linking the bank account? thanks for sharing this article, keep up the good work. Good day! Mr. Pritam Nagrale, I have a very serious question. I don’t have a bank account, is there any other way aside from paypal where I can withdraw the money? account, but what is purpose code? I am from Andhra Pradesh. When I started to open the account, I typed my address and filled PIN code. But the PIN Code is not accepted. Why? actually I am still 16 and I have a bank account and the problem is that account name is registered by my name but all other info is register to my parents name like pan card then how to create a paypal account?may I know that ? to my cradit or David card ?? If I cannot get my own card, do you think it would be safe to get a VCC from Auction Essistance so I can verify my account? And can I purchase any products like Website hosting,domain or email autoresponder by Indian paypal ? Yes, you can buy web hosting/ domain using Paypal account. I’m from sri lanka. 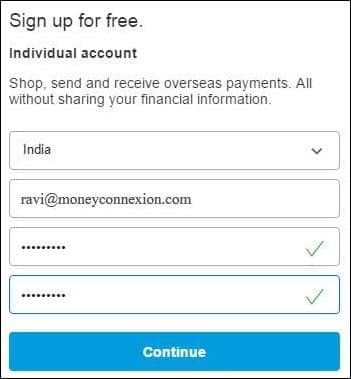 Is this paypal accounts works in srilanka? 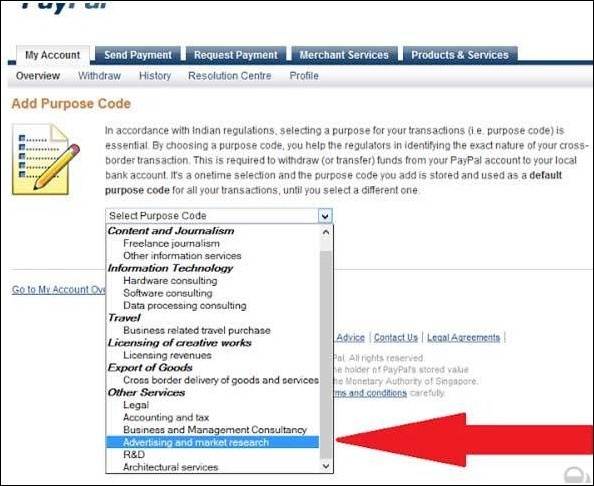 Somebody said me that when i open an account on paypal, select the country as malaysia or phillipine not sri lanka. Is this service not available in sri lanka? Should I prefer keeping my primary (Main email id) or a secondary barely used email id as my login id? I am concerned about safety and clutter. I want to open paypal acoount but in my pan card has only first name . Am unable to proceed without entering last name. please suggest if any other way to complete the process. I have a doubt regarding linking of bank account to paypall account. Can i add any debit or credit card to paypall? Whether the permision of bank is needed for linking the bank account?